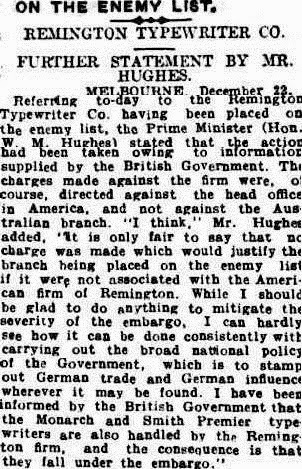 oz.Typewriter: Why Did the Australian Government Put Remington Typewriters on the 'Enemy List'? 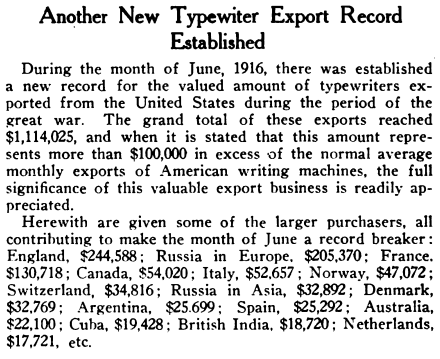 Why Did the Australian Government Put Remington Typewriters on the 'Enemy List'? 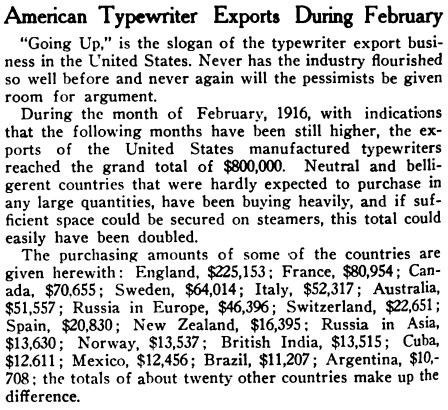 A week before Christmas in 1915, many Australians were stunned to learn that the American typewriter manufacturers Remington had been declared an "enemy company" by the Australian Government under Prime Minister Billy Hughes. "Profound astonishment"! That, I would think, would have been the least of it. 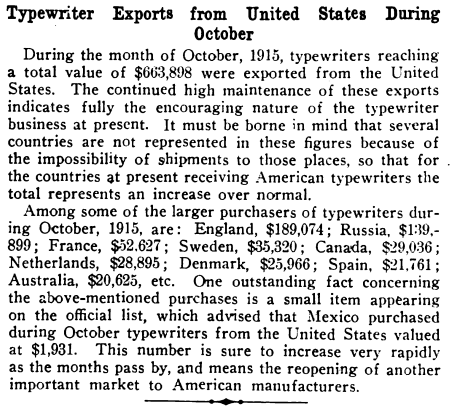 The blacklisting of Remington was followed two days later by that of Smith Premier and Monarch, which Hughes said were "handled" by Remington (presumably as part of the Union Thrust). 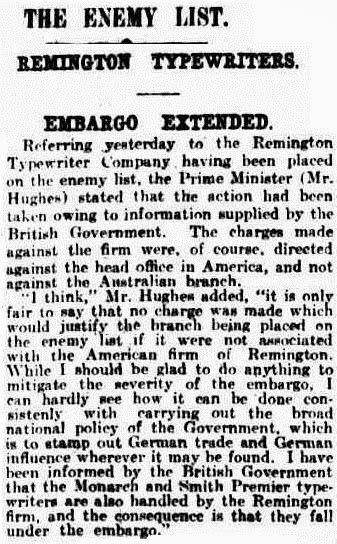 Quite how Hughes had decided a US firm was an "enemy company" seems never to have been properly explained. 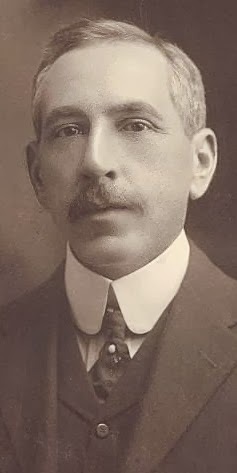 Prime Minister Billy Hughes: had he lost the plot? 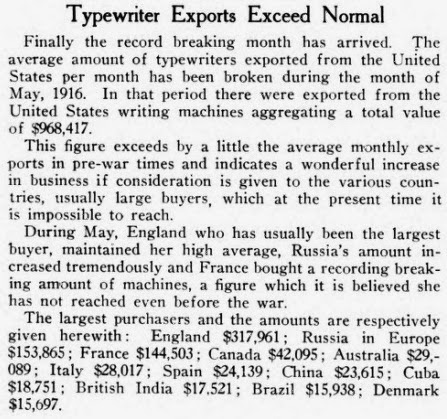 It seems to me most ironical that just a few weeks later Hughes took with him overseas a Corona 3 portable typewriter - an American typewriter!!! 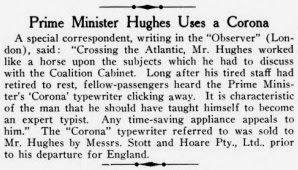 Hughes took his Corona 3 when he travelled across the Pacific and North America on his way to England. 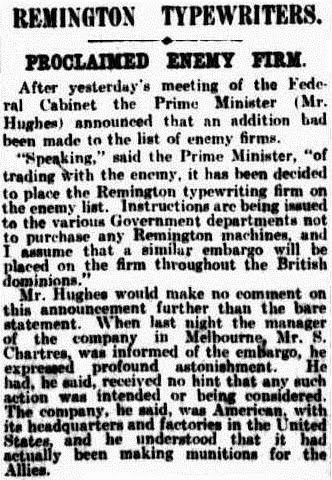 Hughes had been given secret information by governor-general Sir Ronald Munro Ferguson about Japan's intentions in the Pacific and decided he must have urgent discussions with the British government and the prime ministers of Canada and New Zealand. 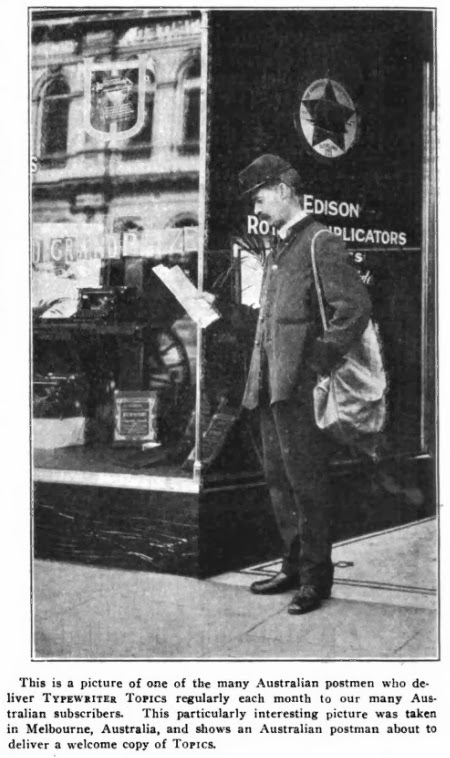 Hughes and his Corona 3 reached England, via Wellington and Ottawa, on March 7, 1916. In June Hughes was part of the British delegation to an allied conference in Paris to determine economic policies towards Germany. 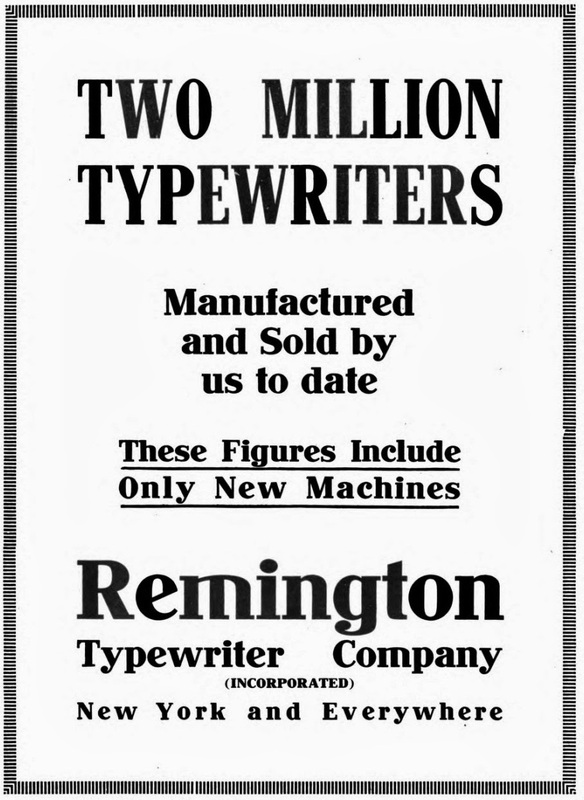 Could be as simple as the Remington Arms company being founded in the village of Ilion, situated at the northwest border of the town of "German Flatts", Herkimer County, New York. Xenophobia gone mad! Well, Steve, that's one angle I had NOT thought of!! !